“Women in the Spanish Revolution” is a pamphlet published by Solidarity, a small libertarian socialist group in Britain (now defunct – Solidarity that is). The pamphlet is short and relatively uninteresting, despite the best efforts of the author to mine all English-language sources readily available at the time for nuggets of information. 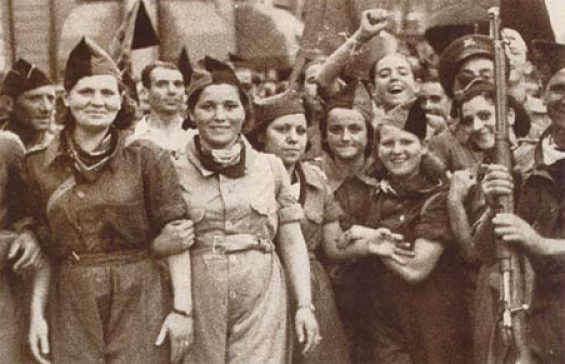 Her two main conclusions is that although women played an important part during the Spanish Civil War, their roles were scaled down as the emphasis shifted from social revolution to “regular” anti-fascism. For instance, women had played a more prominent part in the original militias than in the more professionalized army of the People's Front government. Another problem was the lack of specific feminist organizing. Yet, the Republic did take measures the author considers pro-woman, such as legalization of abortion or easier divorce proceedings. All in all, nevertheless a relatively uninspiring text, but perhaps the sources are to blame for this?